Made for 3di. 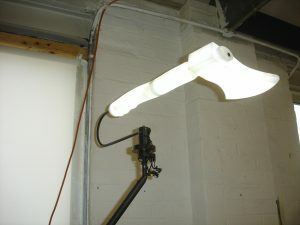 The rotating spinning top has mechanics with electronics allowing it to ramp up and down in speed. A finger dressed with lots of miniature copies of celebrities wearing tiny clothes, wigs, beards and accessories. 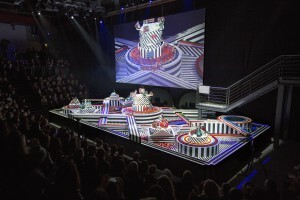 A short Christmas film with Anya Hindmarch based on the Cascade show we did in 2013, consisting of a pyramid of dominoes with lifting doors and a rotating drum. 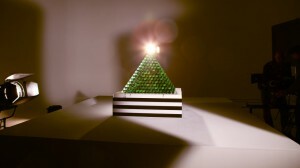 Pyramid build by Mr Domino’s-Robin Weijer’s team from Amsterdam. 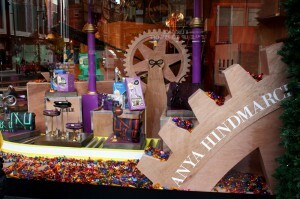 Four Christmas windows with moving animatronic parts, conveyor belts with sweets and handbags, and LED lights.